Lavel White, the filmmaker behind the documentary “More than Bricks and Mortar: The Sheppard Square Story,” will be part of a panel discussion on the Beecher Terrace housing project at the Western Library on Tuesday, Oct. 9 at 5:30 p.m.
“Visions of Beecher Terrace” will be moderated by former WHAS-TV anchor Rene Murphy, who is now the JCPS chief communications officer. In addition to White, the panel will include a cross-section of current and former Beecher Terrace residents sharing their stories about the housing complex and their hopes for the broader Russell neighborhood. 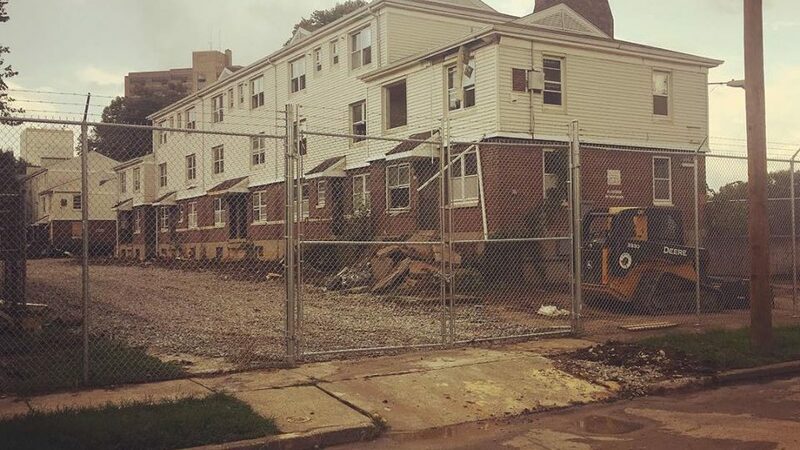 Beecher Terrace is being redeveloped into a mixed-income housing community with funds from a $30 million grant from the U.S. Department of Housing and Urban Development to revitalize Russell. The city is in the process of relocating Beecher Terrace residents to other accommodations so construction can begin on the project, which is expected to take up to seven years to complete. White has been contracted by the Louisville Housing Authority and Vision Russell to do a documentary on Beecher Terrace similar to his earlier film, which dealt with the razing of the Sheppard Square housing complex. The filmmaker says the only time most people think about Beecher Terrace is when they see a story about homicide or some other negative image on the news. With his new film, White says he hopes to capture the community in Beecher Terrace that outsiders rarely see or understand. “These apartments were made in 1939 and they survived until 2018. That’s like three or four generations of people. Community in housing projects is very tight-knit, very focused. People grow up having communal spaces where their friends and family hang out on the weekend. They do each other’s hair and baby-sit each other’s kids. That’s what people are going to miss,” White said. In July, White started working as a Community Outreach Specialist in the city’s Office of Safe and Healthy Neighborhoods. His job is focused on doing workforce development and violence prevention in the Russell. White understands life in the neighborhood and its housing projects because that’s where he grew up. He lived in Sheppard’s Square until his junior year of high school, when his family moved to Beecher Terrace. He lived there until his sophomore year at the University of Louisville, when he moved into student housing. “I was working at Wyatt Tarrant & Combs and then walking back to live in the projects. I started my film company, Blu Boi Entertainment, while I was living in Beecher. Even after I moved out of the projects, I was always going back to the Presbyterian Community Center in Smoketown or Baxter Community Center in Beecher Terrace to hang out. I still have friends in Liberty Green and the other places that have already been redeveloped. Those places are never going to have the sense of community they had before. Everything is new now. They don’t have the history they once had,” he said. White earned a bachelor’s degree in communication with a minor in Pan-African Studies at UofL. He said his education and life experience informed his career choices. In addition to the Sheppard’s Square documentary, White has made “More Than Bricks and Mortar: Smoketown A New Beginning” and “We All We Got: Hood 2 Hood,” a documentary about the impact of violence and incarceration on the inner city. His 30-minute film on Beecher Terrace is slated to be finished in 2019. He expects it to be broadcast on Metro TV or KET. The “Visions of Beecher Terrace” panel discussion was the brainchild of the Western Library staff. The branch, which opened in 1905, was the first public library in the nation built specifically for African-Americans and staffed entirely by African-Americans. The library’s manager, Natalie Woods, said she invited White and the other panelists to the branch because she felt it was important for Western to be apart of the Beecher Terrace conversation to remind everyone that the library is also a stakeholder in the community.